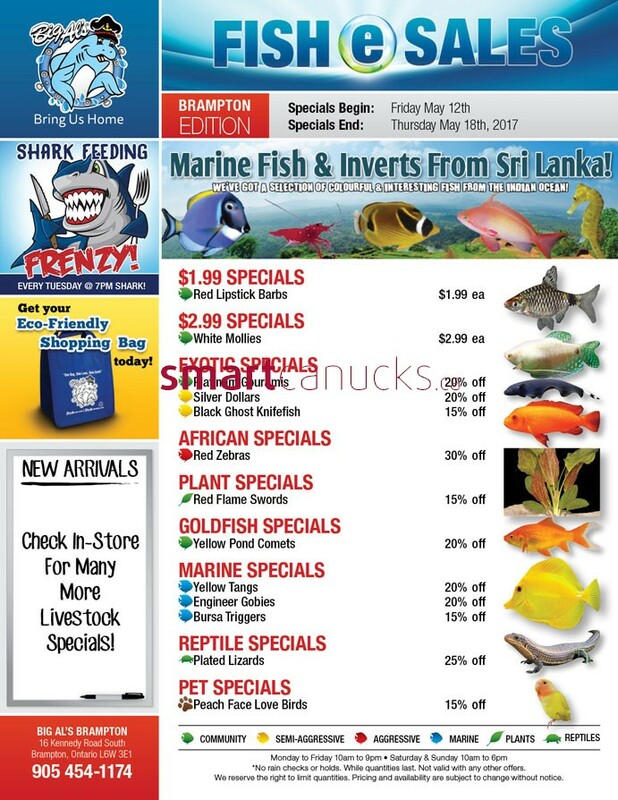 Big Al's Brampton Flyer May 12 to 18, 2017 - Fish e Sales Brampton Edition Specials Begin Friday May 12th, Specials End; Thursday May 18th, 2017. 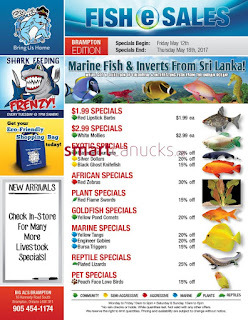 Marine fish & inverts from Sri Lanka! We've got a Selection of Colourful & Intersting Fish from the indian ocean. Black Ghost Knifefish 15% off, African Specials Red Zebras 30% off. Just a simple click on the image bellow for details Big Al's Brampton Flyer May 12 to 18, 2017. Big Al's Brampton Flyer Valid May 12 to 18, 2017. Subscribe this category for more of Big Al's Brampton Flyer products and deals.